Cheryl Leclere was Western Sydney Local Health District’s print manager for 31 years. 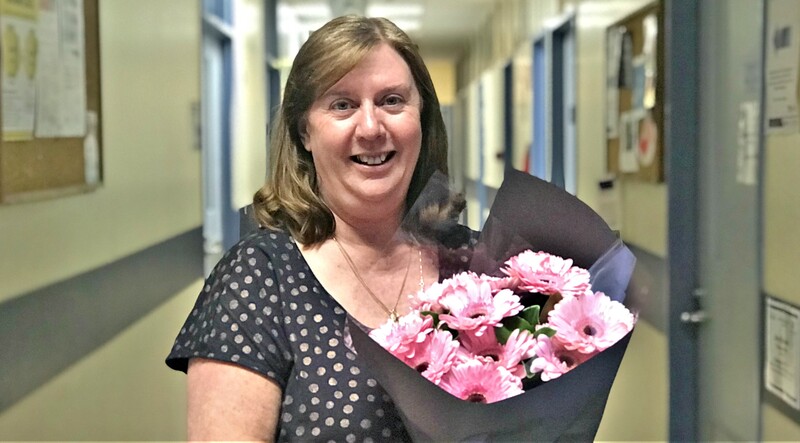 Much-loved print manager Cheryl Leclere has this week retired from Western Sydney Local Health District (WSLHD) after a long 31 year history with the service. Cheryl’s last role with WSLHD was within the Corporate Communications team, leading the charge on print requirements and managing forms for the district’s health services. Cheryl said she had mixed emotions about her last day but was looking forward to the future. “I’m sad to be leaving my colleagues but it’s exciting that I’m going into the next chapter of my life,” Cheryl said. “As a print manager I’ve seen many changes to the way printing is required … things are definitely going more digital. Cheryl looks forward to scrapbooking, gardening, traveling and enjoying her new-found free time.